On September 28th the San Pedro Town Council (SPTC) held a meeting with local street artisans. The vendors were told that within two weeks they will need to remove their tables from along downtown Barrier Reef Drive and set-up business under the grand Palapa at the Central Park. Presently there is a group of about fifteen artisans that line the street beginning at Central Park and ending north at Fido’s Courtyard. 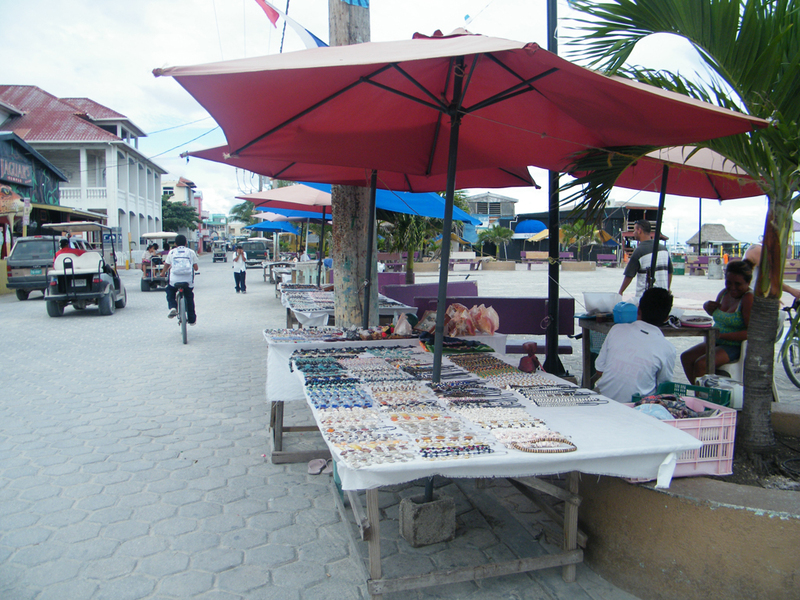 At these various booths, which are mainly constructed of wooden tables measuring about 4” by 8”, there is a wide assortment of handmade jewelry, carvings and other hand crafted gift items for tourists and locals alike. According to SPTC’s Foreman, Mr. Samuel Gonzalez, the space under the Palapa where the 15 vendors will be re-located measures approximately 1,200 sq. feet. 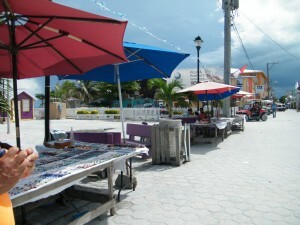 According to some vendors, they have been using the street area to conduct their business for the last four – six years. Their fears are that this move will hurt the modest income that they currently have. In the last five years the Town Council has asked them to move three times. First they were moved from Central Park when renovations began in 2006, then to the beach in front of Fido’s, and then to the street. Vendors will now be forced to reduce the surface space available for marketing their goods by using tables half the size they are used to. As to what the plan is for maintaining the Palapa; Mr. Guerrero doesn’t have a plan as yet. He did mention, however, that there will be a police officer permanently situated at the Palapa while the vendors are. However, before this is done, much repairs need to be done on the existing structure, which he admits leaks when it rains. Further to this, the vendors will be required to re-locate whenever there are public events such as Lobster Fest, September celebrations and so forth. As to where they will relocate during these activities, that has not yet been determined.